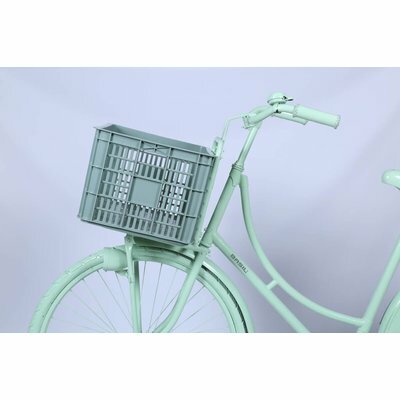 The Basil Crate L is a green bicycle crate with large dimensions, designed to easily attach to any man or woman’s bicycle frame. The Basil Crate L is a large bicycle crate suitable for attachment to the front carrier of the frame. The crate has a generous capacity of up to 50 litres, with a durable plastic construction ensuring it’ll hold up well in all weathers. The versatile design makes it an ideal choice for all applications, from carting groceries back from the store, to enjoying delicious picnics in the great outdoors. Furthermore, you can also use this crate to ferry your lunch and other essentials to and from the office or classroom. This handy crate is easily attached to your bike with an impressive load-bearing capacity, although this is ultimately dependent on the integrity of your luggage carrier. Looking for a practical and stylish choice of bicycle storage? The Basil Crate L is an ideal choice. Interested in what else Basil can offer? 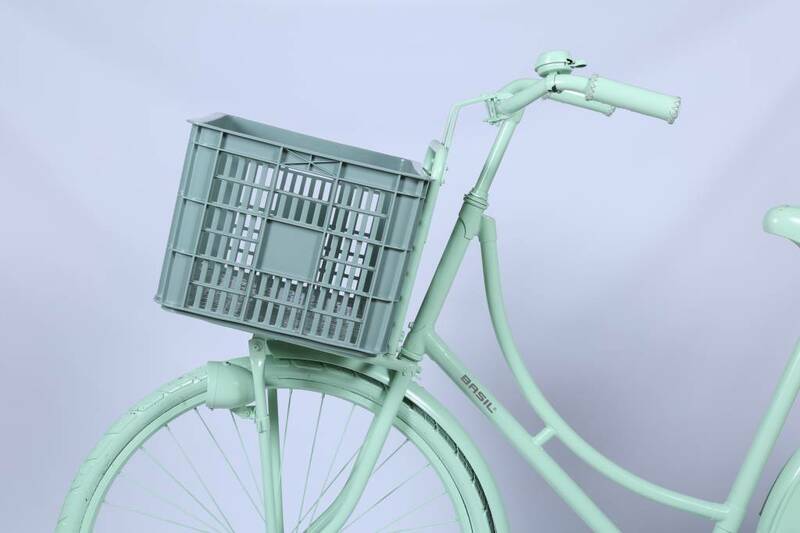 Browse our complete range of bike storage today online, with an impressive selection of bike baskets and bags, not to mention a whole host of other essential accessories to upgrade your frame in style. 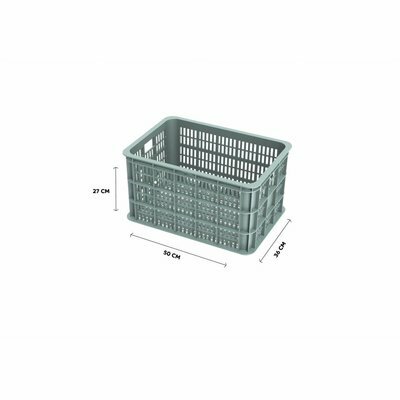 The Basil Crate L is a large bicycle box design, with a maximum load-bearing capacity dependingon the allowable weight of your carrier. 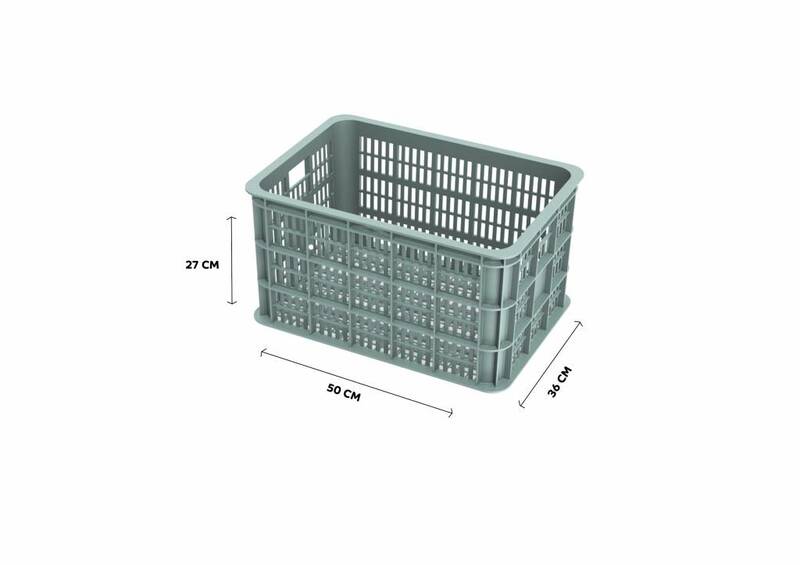 The Basil Crate L has a total volume of 50 litres. 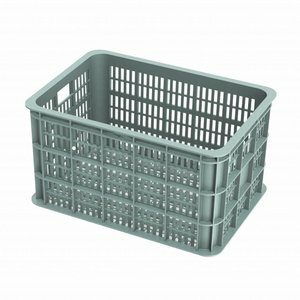 This crate easily attaches to your bicycle carrier and happily accommodates bags, boxes and other odds and ends. This bike crate is made from durable plastic and is available in a green colour.